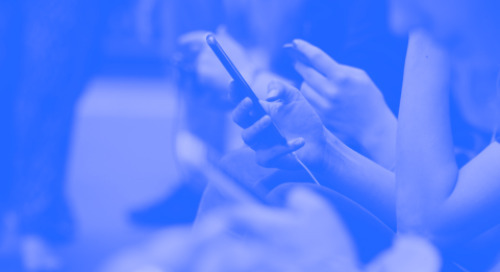 Rich Communication Services — also known as RCS — may be an up-and-comer in the mobile marketing space, but it’s one you need in your mobile toolbox. Rather than sending messages via a cellular network, RCS delivers enhanced messaging capability via data. That means so many more opportunities for you to provide value to your audience. While text message marketing has long been an effective platform for reaching consumers, RCS goes even further to engage your audience. Your brand can send so much more than just text via a user’s messaging platform, including video, QR codes to scan, and GIFs. Additionally, your texts will appear as coming from a verified sender (your full brand name appears rather than a random ID), which means more subscribers will open your texts to read them. With just one click from the RCS-enhanced text, a subscriber can click an action button to buy, upgrade, or view more information about a product or event. She can add an event to her calendar with the tap of a finger. Essentially, you can offer an app-like experience without your audience having to install an app, which is a boon, considering that 59% of consumers would prefer to communicate with a brand using RCS rather than an app. From the business end, you get proven delivery receipt, as well as data on open times, which can help you in crafting future RCS text message marketing campaigns. You can also take advantage of location services to best target shoppers who are in the vicinity of your stores. 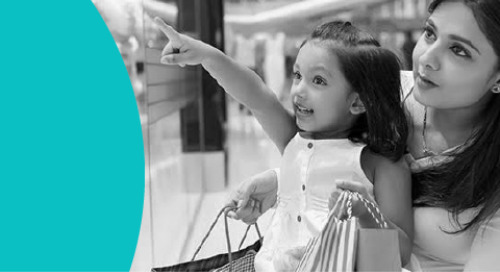 If your brand allows customers to place an order and pick it up in the store, RCS can enhance that experience. Customers can order products and pay for them directly through the messaging application on their phone, and even chat with a customer service agent or schedule a pickup time or appointment through texting. Once the system knows a consumer’s preferences, it can make suggestions for other products of interest. While mobile wallet adoption is on the rise, it’s not yet ubiquitous. Still there are loyalty members who would like to access their information digitally. RCS provides a wonderful opportunity to do just that. Once a loyalty member has linked his card to his phone number, he can text to get points totals or redeem his points. Save bank customers the hassle of logging into an app every time they want an account balance. Using RCS, they can check account balances, get information on other financial products, and transfer money from one account to another. Ordering a meal for pickup or delivery shouldn’t be complicated. For restaurant brands with loyal customers, RCS makes it easy to place an order to pick up at a nearby location or get it delivered. Car maintenance is far from top-of-mind for most drivers, but RCS puts it there. Sending reminders for routine maintenance — and then adding a coupon for savings on that service — can increase service appointments. With so many reasons to love RCS, there are few, if any, drawbacks, especially when you have a mobile marketing partner like Vibes. We can convert your SMS subscriber base to an RCS audience easily, and guide you to smart RCS-based mobile marketing strategies. Contact us so we can show you how.